Awards, plaques, and trophies are always in demand. They are given to people for a broad range of reasons, and they serve as an excellent way to celebrate dedication, hard work, and effort. Athletes earn trophies for excelling or even participating in sports, organizations win awards for being tops in their industry, and students receive plaques for academic achievements. Regardless of why you need an award, it is always a good idea to buy your trophies online. When you go on the Internet, you are able to compare prices easily and explore large collections. However, costs are not everything. There are other factors you want to consider. To help you in your search, The Trophy Studio has put together this little guide for finding the best place to buy trophies online. There are three things that have given us our strong reputation: friendly and responsive service, excellent product quality, and delivering exactly what our clients want on time. We listen carefully to what our customers have in mind for their awards from the moment they first contact us. We then work with each client to develop the best trophy options for their vision and budget. Lastly, we make sure your awards are ready on your timeline. When you shop for trophies online, you never know what kind of service you are going to get. However, we ensure our clients are satisfied one hundred percent of the time with our customer-first service philosophy. 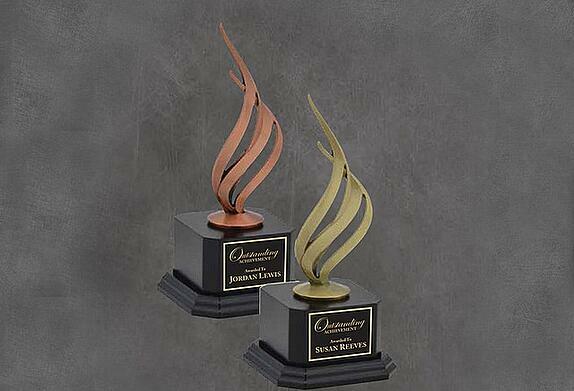 As a full-service trophy company, we can design, manufacture, and deliver awards of all types. Individuals and businesses come to us for a wide array of projects from small participation trophies to large lifetime achievement awards. We welcome all jobs. Our team of experts is skilled in the areas of decision-making, project management, and graphic design. To make certain that we are supplying our customers with the best alternatives in the industry, we stay up to date with the most recent developments and equipment. There are some online businesses that consist of one guy working out of his garage in his spare time. He will make big promises, but rarely will he deliver. 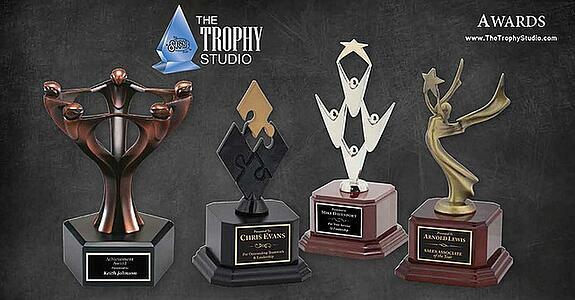 At The Trophy Studio, we have a full-equipped shop with the latest equipment. You can even stop by and see us if you happen to be on North Hollywood Way in Burbank. We will show you our equipment, including our state of the art laser engraver. Our engraver can render text and images on just about any surface. These are just a few of the characteristics you should look for in the best place to buy awards online. If an online supplier is slow to respond to your inquiries or just does not seem to be up to snuff, look elsewhere. There are plenty of great award makers out there. 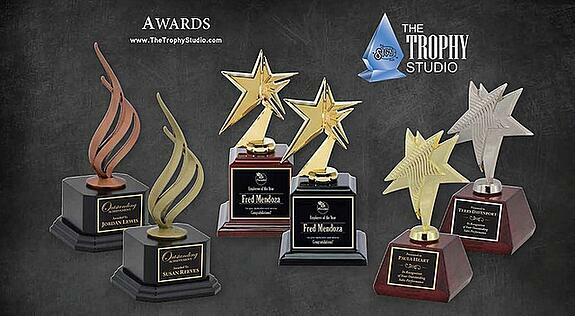 If you are interested in getting your trophies, awards, and plaques completed correctly the first time, on time, contact the friendly professionals at The Trophy Studio today for a free consultation.